All high-back chairs (taller than 35 INCHES when set up) must be positioned on the perimeter of the seating areas. A limited number of umbrellas are available to rent at the Beach Shack. NOTE: all personal belongings will be searched prior to entrance, so please adhere to these rules so that others will not be delayed during the entrance process. Artists and times are subject to change without notice, the festival is rain-or-shine, and there are no refunds. 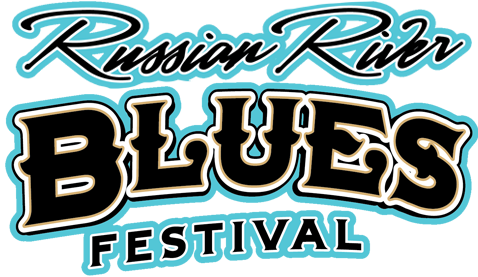 Russian River Festivals, Inc. is not responsible for lost or stolen tickets. You can purchase tickets online through our secure ticketing website. If you have any questions regarding tickets please call the Box Office: (707) 869-1595 or email us at tickets@omegaevents.com. Tickets will be sold at the event unless they run out prior to the event. If that occurs, we will notify customers in a newsletter sent by email. Add me to your e-Newsletter list to receive updates on artists, tickets, etc. Day-of-Show tickets are $10 more expensive while supplies lasts, and there is no service fee if you purchase a ticket at the festival. Day-of-Show prices start at 11:59pm PST the Friday night before the festival. Upgrading tickets is an option before the event or at the festival, as long as we are not sold out of the specific ticket you want to upgrade to. Day-of-show upgrade prices will be listed at the event. There is no “down-grading” of tickets. Please visit the customer service booth to upgrade to your tickets. Tickets are non-refundable. Of course! General Admission kid's tickets are available for ages 6-12, and all kids age 5 and under are FREE! Don't forget to add the kid's tickets to your shopping cart before checkout. I ordered a ticket in Gold "bring your own chair" section, what does that mean? You can bring your own chair instead of using the chair we provide in the Unreserved Gold Section beginning in Row 21. Your chair may not be placed in any other area of the Gold Section other than the “bring your own chair” area. You may be asked to leave the festival if you do not abide by this rule. Seats must be 32" or lower. A low-back lawn chair, blanket, hat, picnic, non-alcoholic and sealed beverages, still camera (no video), sunscreen, and cash/ATM/Debit/Credit Cards. Please visit our Guidelines page for more details. Umbrellas and high-back chairs must be placed on the perimeter of the seating area (courtesy rule – if you are blocking someone’s view, you may be asked to move). Please do not bring the following items: glass container, alcohol, professional cameras, pets, audio or video recording equipment and canopies. Please visit our Guidelines page for more details. How do I pick up my wristbands? If you selected PrintPass as your delivery method, please print out your PrintPass and bring it to the FrontGate. Please make sure the barcodes print correctly. If you do not have access to a printer, please have your order number and photo ID ready to be checked at the FrontGate. If you purchase a Weekend Pass, you must wear your weekend wristband for the duration of the festival. Wristband(s) are non-transferable and cannot be given to someone else. If you selected the mail option delivery, you should receive your tickets at least one week prior to the event. If you did not receive your tickets by the day of the event, don’t stress! Please visit our Customer Service booth at the FrontGate with your order number and photo ID ready. 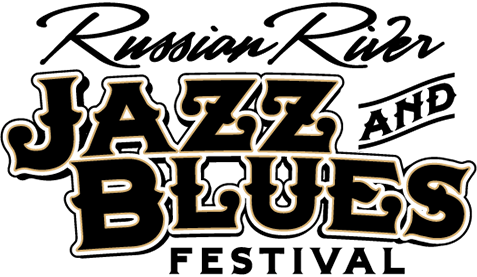 If you purchased a 2-Day ticket of any kind (GA or GOLD) you will be issued a 2-Day wristband. The wristband must be worn for the duration of the festival and is good for one person only. This wristband is non-transferable (you cannot give it to someone else), non-exchangeable and cannot be removed. Stretched, ripped or tampered with wristbands will be confiscated by security. Doors open at 10 a.m. daily and the music will end at 6 p.m. If you lose your wristband, you will have to purchase another ticket to the festival. Please keep wristbands on at all times. Treat your wristband like CASH!! If your wristband accidentally breaks or is damaged, please immediately go to the Customer Service booth at the Front Gate. FROM THE BAY AREA: Take Highway 101 and head north. Travel through Santa Rosa, which is 50 miles north of San Francisco. A few miles north of Santa Rosa is the Guerneville/River Road/Russian River Resort Area Exit. Turn left on to River Road and you will reach Guerneville in 15 miles. Go through the two stoplights in the beginning of town. If you turn left on Church Street, you would be heading in the direction of the festival entrance. We warn you, however, that there will not be any parking available on Church or First Street, so please find a place to park in town. There is no parking at Johnson’s Beach during the festival, so we have found that many folks park throughout Guerneville - please adhere to all local signs. Can I camp at Johnson’s Beach? Camping is available through Johnson's Beach. The campground and rustic cabin-type rooms were built in the 1920's. A game room, coin-op launderette and BBQ area are open for use of the resort guests. Camping is on a first come, first served basis offering tent and RV sites. Restroom facilities feature flush toilets and coin-op hot showers. A dump station is available and there are electrical outlets at some sites. All rooms are non-smoking and have private bathrooms with showers, refrigerators and TVs. Some units include kitchenettes that are equipped with basic cookware. Linens, blankets and bath towels are provided. Please bring your own beach towels. Room reservations are usually by the week. Johnson’s is a quiet family-type place. Please call for camping pricing and room rates/availability. Credit/debit cards are not accepted. Please call Johnson’s Beach at 707.869.2022 to make a reservation.